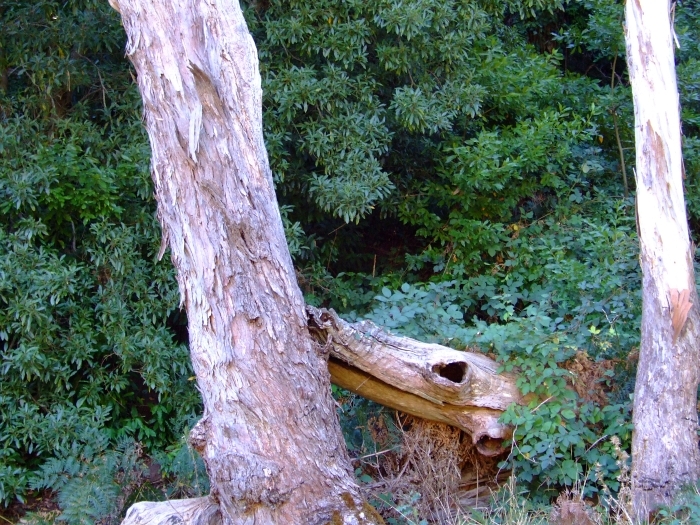 Alaskan Dave Down Under: Photographic Evidence of an Australian Bunyip! And here y'all thought them's wuz mythical kreechurs! Nope. Bunyips do exist. One just has to know where to find them, what their sign looks like, what they like to eat, and what they aren't. And what they sound like! The sound you are hearing right now is an actual recording of a bunyip. There's the occasional parrot screech, of course, but the low level grunting is the bunyip. I think there were two of them. 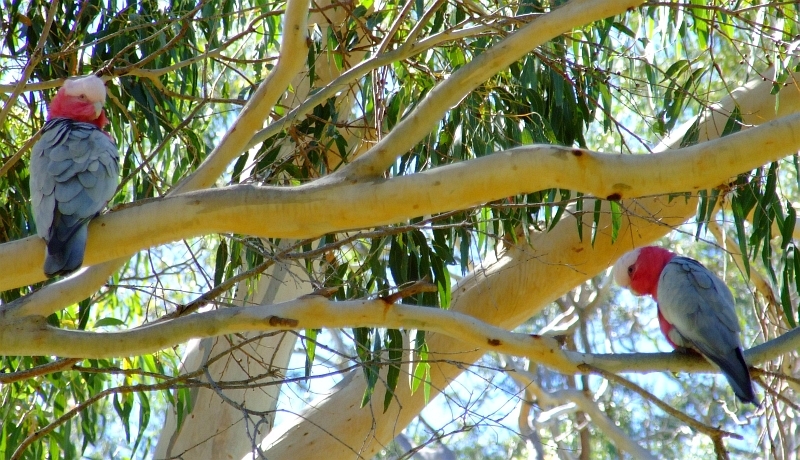 I, However, was not about to go into the bushes to count the bunyips cuz they are very very deadly and are the reason that koalas climb very high into the trees! 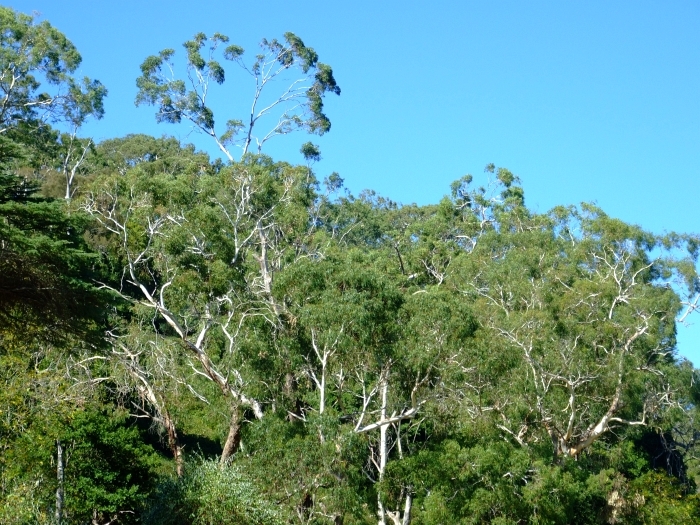 The first thing to finding a bunyip is finding a nice, dense, eucalypt forest. There are plenty of them down here in Australia which probably accounts for the reason they live here. You now need to look for some bunyip "sign". Their sign looks like giant, spiny, hollow, moose nuggets! Here's one I saw that instantly told me I was in bunyip territory! The spinyness of the "sign" definitely accounts for why they are always so pissed off. Next, we needed to set up some bunyip bait! 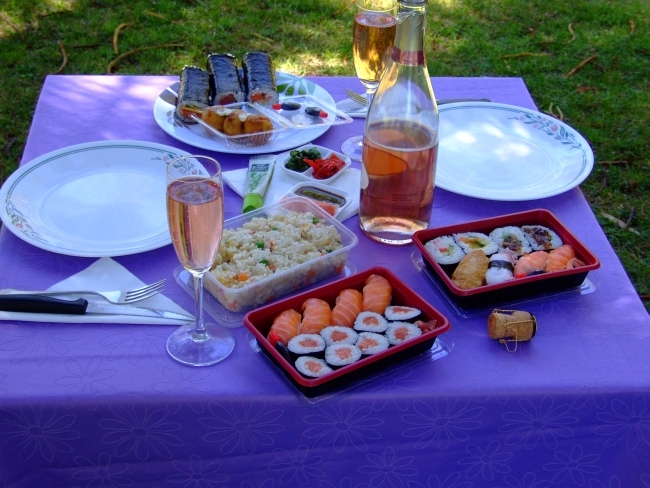 It's not that bunyips like sushi and champagne in the middle of the woods, but they like the way people taste AFTER aforementioned people have eaten the sushi and drank the champagne! Of course you have to deal with all the other critters that are attracted to your sushi bait. This is not a bunyip. 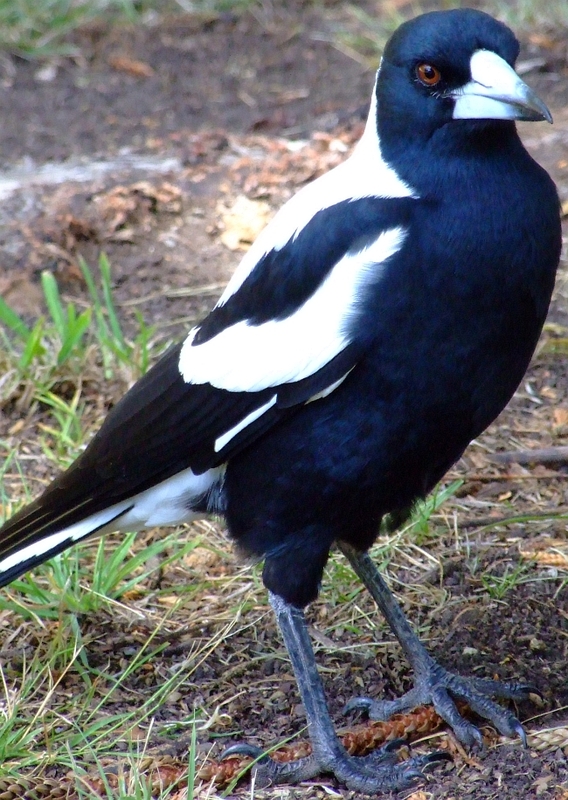 This is an Australian magpie --about the size of an Alaskan raven and very territorial! 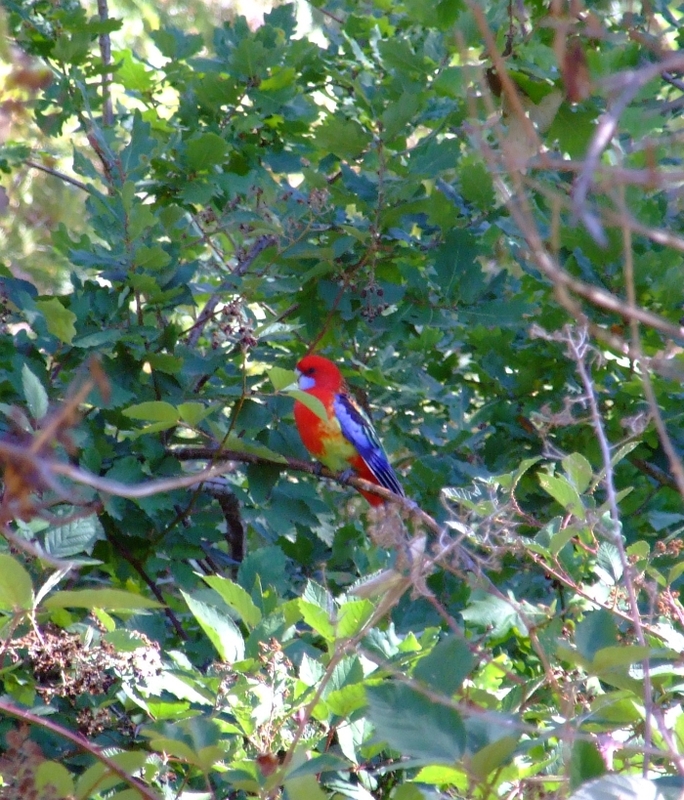 And wherever you see eastern rosella parrots you'll be sure to find bunyips as the rosella make a nice appetizer for a juvenile bunyip. I knew I had to be getting close to a bunyip lair! I noticed these galahs were not looking at me but they were instead looking past me into the bushes behind me! I was thinking of shouting a warning to this bloke as he sped past me. See, I know for a fact that this path dead-ends and it's in the heart of bunyip country! I hadn't seen the cyclist for well over 30 minutes when I decided to go investigate. I didn't have to go too far to find the bunyip lair! Yikes! A lair of the dreaded Australian bunyip!!!!! I found the bike, a torn jersey, mangled helmet and blood and gore nearby. No pictures of that as I was too busy puking my guts out! 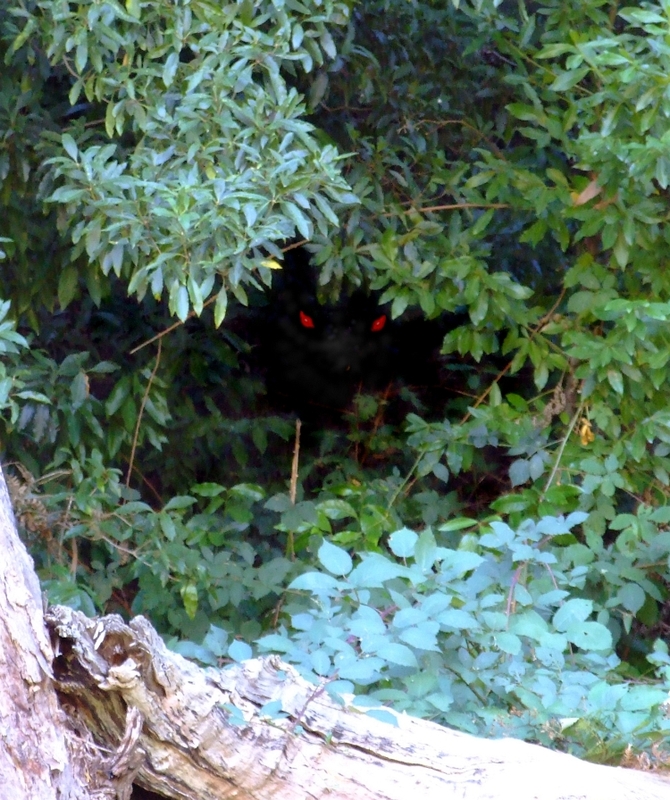 Just then, I heard a sound from the lair and turned towards it, camera ready! I quickly jumped on the bike and high tailed it outta there! 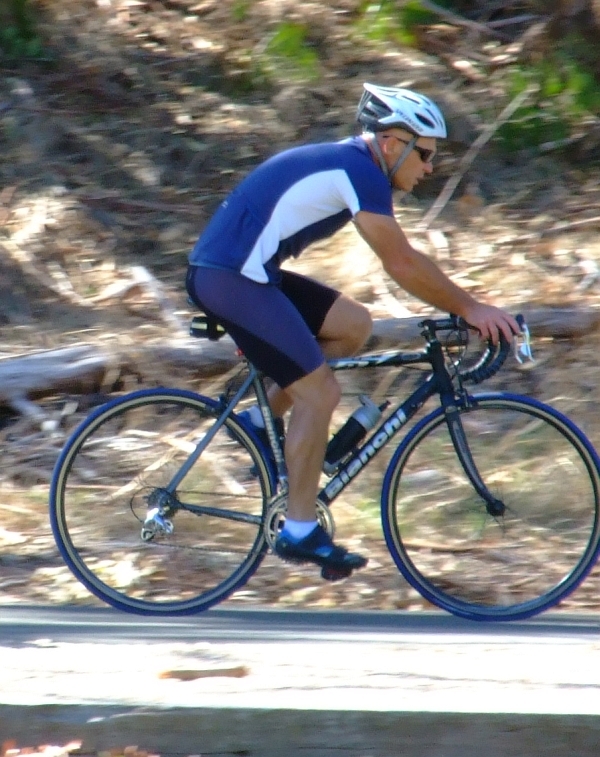 I think the only reason why I made it out alive is that the bunyip was quite obviously still digesting the cyclist! A chilling cautionary tale indeed. 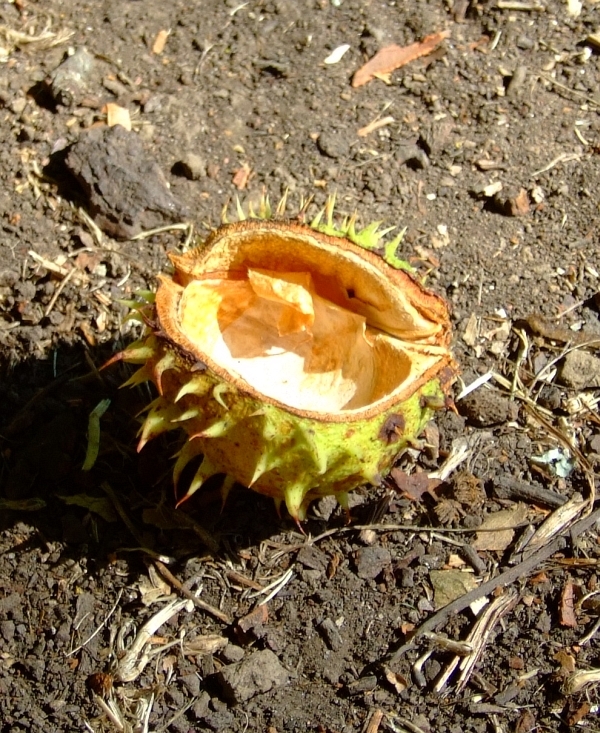 Do they at least hibernate in the coming winter? And BTW, welcome back! Where ya been, mate? Come on down and we'll crack a few tinny's. Arvay: Very emusing! 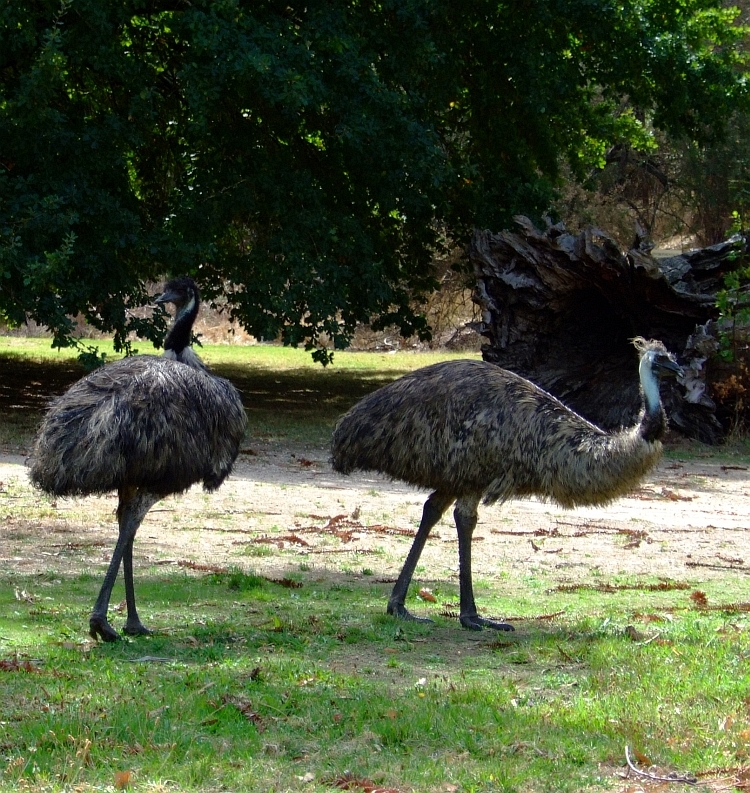 I really like the punk rocker look of the emus. I *warned* you, but did you listen to me? Oh, no, you *knew*, didn't you? Oh, it's just a harmless little *mythical Aboriginal creature*, isn't it?